Do you provide a product or service? Don’t say it- Display it! 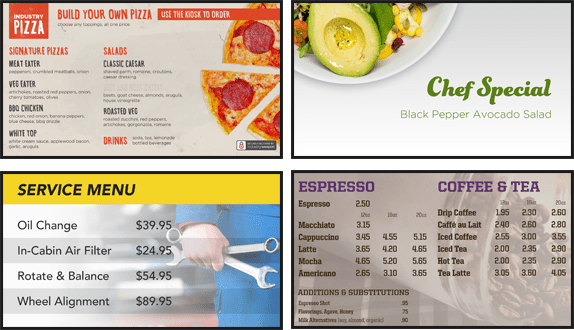 We’re the original digital menu board company, and our menu board solution is designed to attract your clients and drive more revenue- no matter the business. Our experts will create your solution, fully equipped to your needs and designed to mimic the vibe and branding of your business environment. Captivate your audience’s attention like never before with a visually enticing, professional menu display. Set yourself apart from the competition with an enforced brand presence. Elevate the customer experience by promoting specials with high quality images and video. 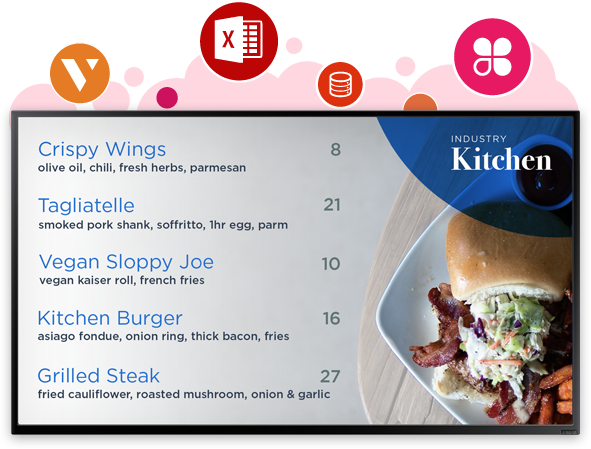 Break away from your stale menu and never display expired or sold out inventory again. 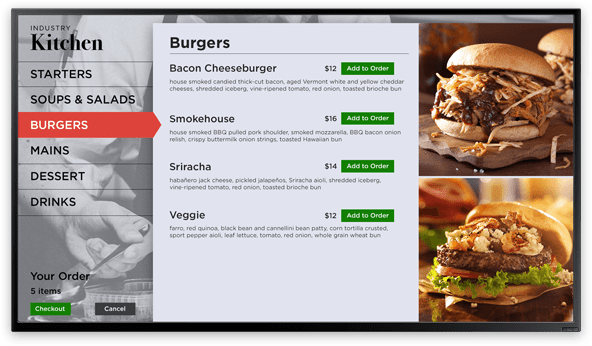 Connect your existing point-of-sale or menu management software directly to your digital signage for automatic updates. We integrate with popular POS vendors such as Clover and Vivonet. Have a lot to offer? No worries! Let your customers browse everything via touch screen menu before making a selection. Suggest add-ons or packages based on the items they touch, or have them click through to special sale events. We provide free, unlimited training to ensure you and your team confidently understand how to control your menu. Anytime you experience an issue, we’re on the case. Our technical support team is available 24/7 for no additional charge. 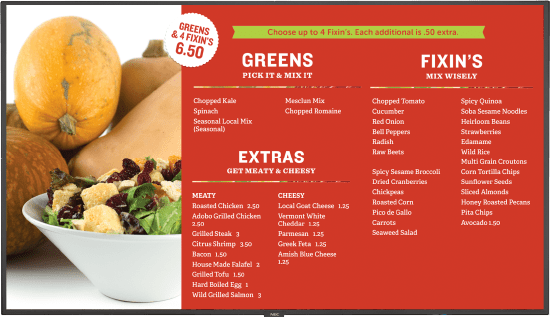 If you have plans to grow beyond menuboards, we can accomodate all of your digital signage needs - including interactive kiosks and video walls. Improve your conversions with Menuboards.com! Speak with one of our experts by filling out the form below. They’ll build the entire solution for you, so you don't need to worry about any technical details. Thank you, our team will contact you soon!